The place to stay in historic Houlton Maine for the business traveler as well as the family on vacation! 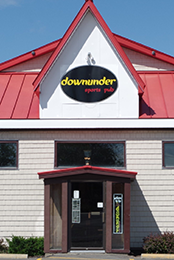 You'll enjoy delicious food in a casual environment at the Downunder Sports Pub. Check out our menu here. 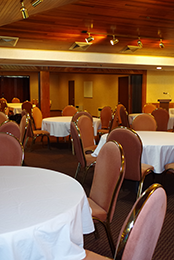 Whether you're in need of a small meeting area, or large event space, we can cater to groups up to 350 guests. Enjoy a dip in the indoor heated pool, or work out in our fully equipped weight room. The snow is here, and it's here to stay! 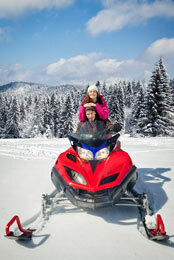 Going on a snowmobiling trip? Book directly with us and enjoy this great package! is conveniently located off Interstate 95 exit 302, just three miles from the Canadian border, at the gateway of Northern Aroostook County via Route 1. Being the last major exit before the US customs and Canadian border, The Shiretown Inn & Suites is the perfect destination for Canadian visitors, business travelers, and families on vacation. Recreational opportunities are abound with the ares many lakes and streams, and the ITS trail system provides snowmobile and ATV enthusiasts with miles of well-marked trails accessible from our dooryard. 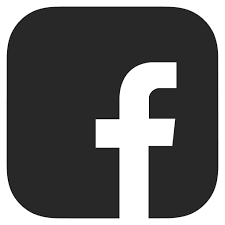 We are located one mile from the Houlton business district and the Historical downtown area. The Shiretownn Inn & Suites offers 56 well-appointed guest rooms and efficiency suites all with high speed, reliable internet, an indoor heated pool, weight and cardio room, Downunder Sports Pub Restaurant, and meeting facilities for groups of 10 to 300. Ready to book a room? Use our online portal to get started at the lowest rates available.